Today most businesses depend on their technology in order to effectively operate. 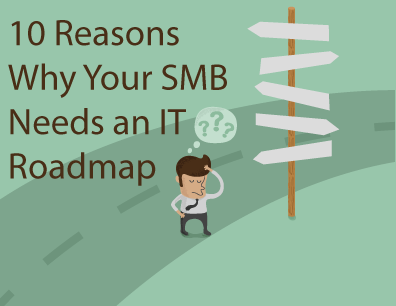 Yet, defining a budget for something as complicated as your IT spending can get really tricky. Failure you properly account for your technology spending can have dramatic effects to your bottom line. 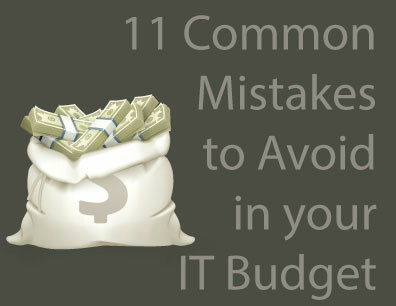 Here are a few common mistakes to avoid when defining your IT Budget. It’s extremely common for organizations to attempt to cut the budget by cutting cost across the board, without regard for workload and productivity within the company is affected. When you cut these things across the board, it can make it more difficult to achieve long-term business objectives. For example, one of the first things to commonly get cut is back-ups, because that dramatically affects the amount of storage that is needed. So if you hypothetically went from a nightly back-up schedule to a weekly back-up schedule, there would be a much higher chance that something could be deleted that couldn’t be recovered. 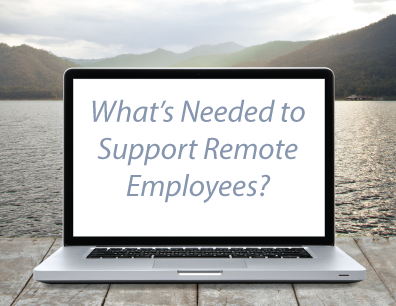 Investing in support and training for your employees allows them to utilize the technologies that you provide in a secure and proper manner. Failure to make this investment can lead to costly mistakes, as employees are simply unaware of the correct way to utilize their systems. Many vendors provide free training programs for their solution, which can help limit the amount that has to be spent. But avoiding the training step altogether can cost more than taking the time to do the training right from the beginning. Regardless of all the warnings that come from the tech industry, companies continue to use outdated hardware and software. 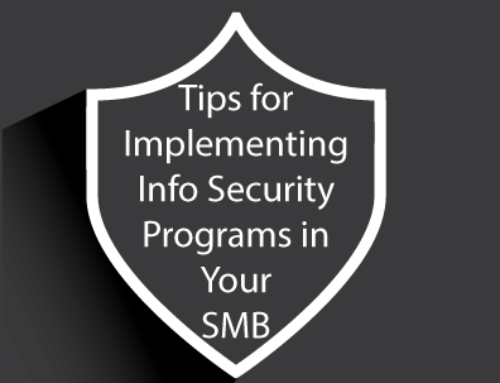 Even though everyone knows that outdated systems are a top target for malicious hackers, the “it won’t happen to me” and “we can take care of that later” mindsets continue to prevail. Without a clear progress for updating systems and retiring systems that are approaching end-of-life, most companies (whether it be intentional or unintentional) end up using outdated systems until they fail. 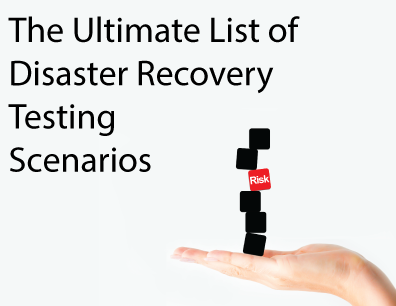 This exposes your company to great risk, as once a system fails anything that can be restored will likely only give you a percentage of the data that was lost back. And that is best case scenario, because if a hacker gets access to your files you could be open to countless lawsuits. While this mistake seems like it shouldn’t happen that often, is it consistently one of the most common mistakes that will sink your IT budget. 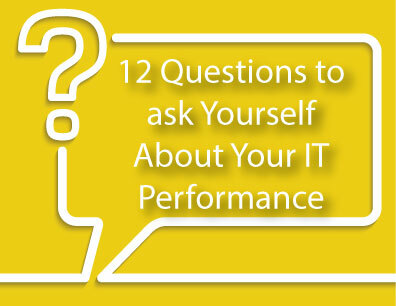 Tracking all of the components that make up your IT infrastructure is a process that takes a great deal of work. However, keeping track of all of your assets is the only way to know that you are using them all properly. When trying to trim the budget, a common misunderstanding is that the level of service you require from your technical support can be negotiated. Maybe you think that you don’t need to pay for premium service, and could save money that way. While that may be the case, make sure you understand what you will be giving up in the agreement. Consider this: the difference between 99.9% availability and 99.8% availability is 87.6 hours a year. If you can afford that amount of downtime, then sure, but if you cannot you may need to stick with the higher SLA. This one is a mistake that we constantly see. Throwing money at technical problems with the thought process “we just need a server, any server will do” is a great way to blow your budget. Before you put money into any technical component of your infrastructure, you need to consider how that will affect other machines. Research the type of machine, whatever hardware component it may be, to ensure that it will support your business needs. It is very easy to get sticker shock when looking at the price of new IT equipment. Unfortunately, it can be easy to overlook the costs associated with a old, or outdated equipment. Not only do security and reliability start to become a factor as I mentioned above, but older machines also have higher maintenance costs and are not as energy efficient as new machines. Consider the long run before you decide on a cheaper model. Maintaining servers can be very challenging. If you have several servers, you will need the proper housing for them, including climate control and assurance that adequate power can be attained. This will increase your business’ monthly utilities bill drastically. While you do have to pay for the services, often times renting out space in a data center is a more cost effective option. They are also usually more reliable, with multiple power sources already built in to the facility and maintenance on-site in case something were to go wrong. We have mentioned this before; technology maintenance is a lot like car maintenance. It is much cheaper to regularly update technology than to wait until something breaks. However, if you forget to incorporate this into your ongoing budget, it can be hard to justify regularly maintaining these systems. Another common mistake that can effect the IT budget is simply taking a vendor’s word for it that their solution is the best fit for you and is priced well. If you are in the market for a new solution, do your research. 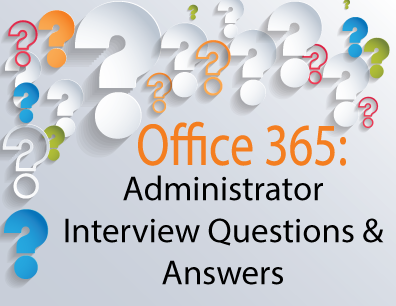 Do not just take your vendor representative’s word that it is better than other options. Vendor lock-in happens for a number of reasons, but often times the reason is nothing more than level of comfort. Make sure that you look around for other options to make sure you are getting what is right for your business. You hear this mistake often times in lists of what to avoid when setting your personal budget, but in my experience it applies to businesses and their IT budgets as well. 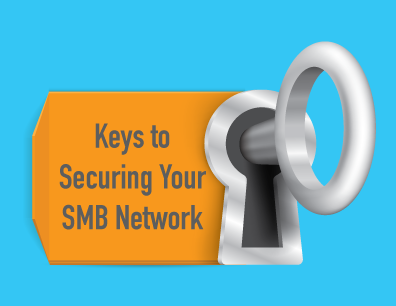 Just because all your business partners are moving their systems to the cloud, does not mean it is necessarily right for your business. Make sure you understand all of your options before investing in a new solution or system. Your IT Budget should be formulated just like the budget that the rest of the business operates on. Make sure that you research what is best for your company before implementing a budget. Avoiding these common mistakes will help you get on the right track. If you would like help developing your IT budget for next year, contact our professional services experts to learn how we can help.